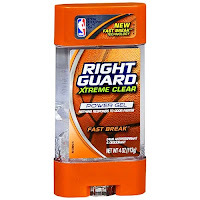 There are actually a couple of good scenarios to get free or really cheap Right Guard Deodorant this week! First, print out the $2.00/2 printable coupon here. Thenk pair that with new Rite Aid Video Value coupon to save $2 on Right Guard Total Defense Solid or Gel.